NYC Restaurant Week 2016 is upon us July 25th- August 19th. 3 course meals for lunch $29 and dinner $42. For the frugal yet fabulous..Exclusions do apply.. gratuity and beverages not included. Saturdays are excluded and Sundays are optional You can check out all the participating restaurants here. You can book reservations conveniently at Opentable. These are my picks. Foodies Rejoice..
Sabbia located In Eataly (which I still have yet to visit)hosted by La Birreria rooftop bar and restaurant..Since it’s Summer you had me at rooftop bar. Stunning views of the Flat Iron and Empire State building await. Here you can check out the lunch and dinner menu. I like to look ahead of time to be sure that there are things that I like. Spice Market located in the Meat Packing District.I have yet to dine at this pretty lil eatery with an attached terrace. I’m hoping that changes soon. Lunch and Dinner menu here. Bodega Negra at Dream Hotel downtown.. You enter this location thru a Tudor Styled Tequila Wearhouse! No menu listed however they serve upscale Mexican fare (expect ceviches and Tacos). Scarpetta I read in a magazine over five years ago that Beyonce and Jay Z dined here for the Spaghetti..Start it off with the Creamy Polenta in a mushroom truffle sauce. 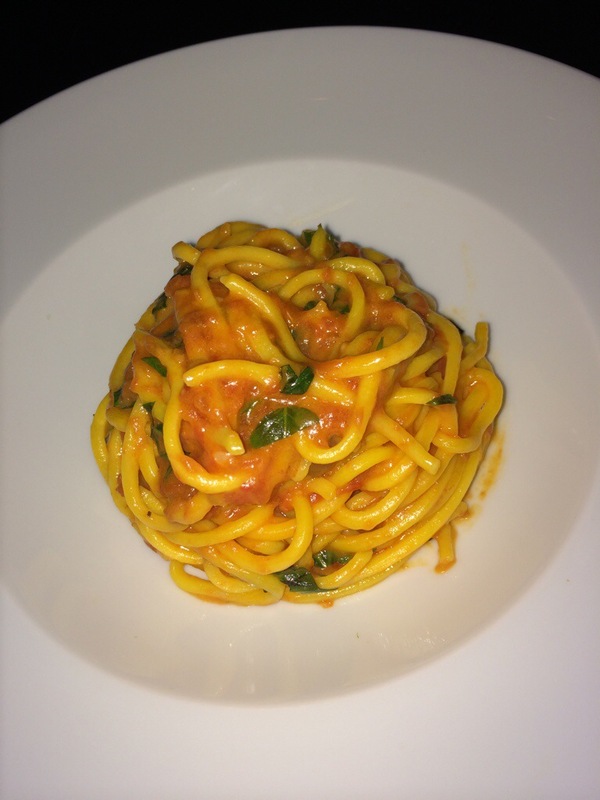 I have been in love with Scott Conant’s tasty dishes ever since! Lupa (lunch only) I hope they have Bucatini All Amatriciana on the menu.. That’s my fav .. Thank You Mario Batali ! Beauty and Essex is always a good time… hang out in the ladies room where they serve champagne. Or grab one of my fav drinks the beauty elixir. Don’t forget to post up your pics on “the gram” to win a shot at a $50 gift certificate for a future dining experience! Use the hashtag #NYCRESTAURANTWEEK !